Consumer expectations have increased nearly 28% YOY. 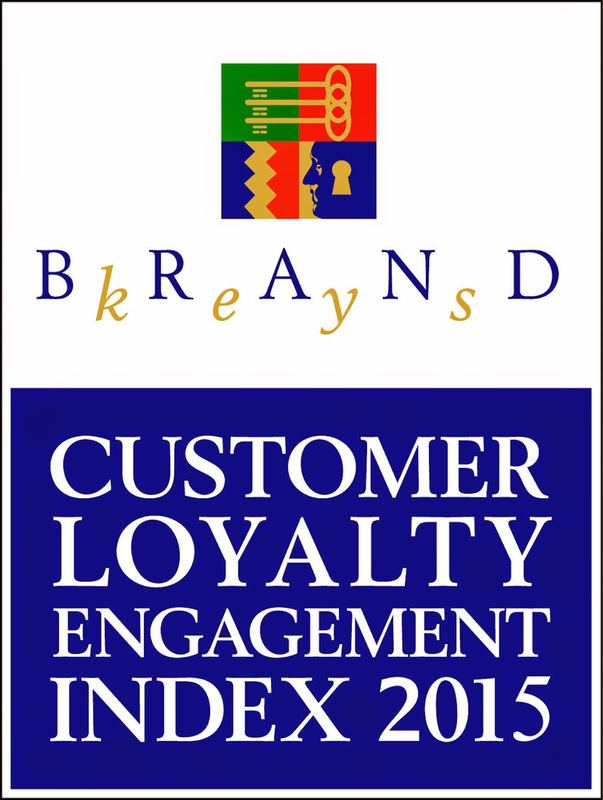 That’s according to our 2015 Customer Loyalty Engagement Index® (CLEI). That’s an important number because in a marketplace where brands struggle to create meaningful differentiation and engagement, those better able to identify customers’ expectations and then address them via authentic emotional values always see tangible bottom-line results. While some marketers and consultants have only recently come to acknowledge the importance of consumer expectations, something Brand Keys has tracked for 20 years. Empowered and socially- networked consumers have come to expect everything from brands, particularly as regards emotional gratification and engagement. Meanwhile brands have only managed to improve their ability to satisfy consumers’ expectations by 7%, which is a pretty big gap. Brands able to meet consumers’ emotional expectations always have higher engagement power, more loyal customers and, axiomatically, greater sales and profits. The difficult part is accurately measuring this gap and determining what emotional values can help a brand successfully fill it. Thirty-six (36) new brands appear in the 2015 CLEI, a number that’s a real indicator of volatility for brands that can’t emotionally engage consumers. The CLEI brand list isn’t pre-determined. Consumers tell us which brands they actually use and brands must be mentioned by enough consumers to provide a statistically generalizable sample. A significant number of new brand mentions tells us consumers are looking around for other brands that will better meet their expectations on the emotional side of the purchase equation. Oh, and they’re talking to each other before they talk to you. If you’d like to see the brands with highest levels of consumer engagement vis à vis their ability to meet expectations in their respective categories, a complete listing of the 64 categories, and the rankings of the 540 brands in their categories can be found here. Assessments from this year’s Customer Loyalty Engagement Index found the gap between what consumers expect and what brands deliver, driven almost entirely by emotional values. More emotionally driven categories have higher expectations that escalate faster. The more rational categories have lower expectations and are more stable. Marketers and consulting firms acknowledge consumer expectations are a new area they need to better address to guarantee engagement and profitability – shifting from a “try to do it better” approach to one of “engage the consumer differently.” Unfortunately, without predictive emotional engagement metrics, many brands try to “shoehorn” values that they’ve seen work in categories entirely different from their own. If you do that, you shouldn’t be surprised when they don’t work. Consumers don’t buy cars the same way they buy cola or computers. For the 2015 survey, 36,605 consumers, 18 to 65 years of age from the nine US Census Regions, self-selected the categories in which they are consumers, and the brands for which they are customers, although this year certain categories included Canadian consumer assessments as well. Brand Keys uses an independently validated approach that fuses emotional and rational aspects of the categories, identifies the four behavioral drivers for the category-specific ‘Ideal,’ and identifies the values that form the components of each of the four drivers. The Ideal describes the precise path-to-purchase drivers, describing how the consumer will view the category, compare brands and how they will engage with the brand, buy, and remain loyal. The four drivers, for example, for the Smartphone category have been identified as 1) Brand Reputation & Design, 2) A Platform For All My Needs, 3) Features & Personal Connectivity, and 4) Brand Value & Customer Support. Again, drivers are category-specific since Consumers don’t buy smartphones in the same way they buy cosmetics or pizza so that one-size-fits-all list of “values” is not the optimum way to look at your brand! The assessments measure how well brands meet expectations that consumers hold for each driver that makes up the Ideal for a specific category, and is a combination of psychological inquiry and statistical analyses, has a test/re-test reliability of 0.93, with results generalizable at the 95% confidence level. It has been successfully used in B2B and B2C categories in 35 countries. Consumer expectations always grow so being attentive to the engagement expectation gap in one’s category presents a brand a real opportunity. If a marketer does something that increases a brand’s engagement level they always see more positive consumer behavior in the marketplace. Always,” And brands that are assessed as better meeting expectations held for the Ideal have greater market share and are more profitable than the competition. Always. But to do all that you need real insight. And you know what they say. Insight is identifying and caring immensely about a couple of right things, and not caring a bit about the rest. And based on this year’s CLEI survey, they’re right!